for ensuring a safe and healthy work place, prevention of injuries, controlling & minimising the impact on the environment of it’s activities, products & services, prevention of the creation, emission or discharge of the pollution & will take all steps as are reasonable practicable to meet this responsibility. Stoneleigh Consultancy Ltd will bring to the attention of its employees the necessity of complying with all current legislation & non-legal requirements that are relevant of complying with all current legislation & non-legal requirements that are relevant to the activities, and services supplied. The most successful way that employees can improve their own environmental & safety performance is by being alert to all impacts & hazards, eliminating complacency and accepting their own personal responsibilities. The management team will, at the management review meeting, review the Environmental & Health & Safety management system (EHSMS) and the objectives set to ensure the continuing effectiveness of the EHSMS and the commitment to continual improvement in minimising the impact, hazards and risk associated with the activities, products and services supplied. Stoneleigh Consultancy Ltd has decided that for these reviews to be truly effective, those aspects, impacts, hazards and risks identified will be controlled through the EHSMS that has been designed to meet the requirements of BS.EN.ISO 14001.2004 & BS.OHSAS 18001.2007. 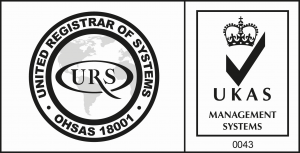 Wherever possible the EHSMS will be integrated with the BS.EN.ISO 9001.2008 management system (QMS). In order to ensure the above we ask that all employees should fully implement this policy and inform a member of the management team of any matter or circumstances which does not comply with this policy. This policy is available to interested parties the general public by request. .Both Cisco and HPe Aruba are also ISO 14001 approved and have corporate environmental policies in place. They include materials selection that exclude or eliminate environmentally sensitive materials and they comply with European RoHS. Large plastic parts contain renewable or bio-based plastic material. Packaging selection looks for products that use non-toxic materials with post consumer recycled content. The products are designed with end of life in mind taking into account the environment. Cisco is in the process of producing a Design for the Environment tool to be incorporated into the product process. This too will incorporate product take back and restricted products policies. HPe Aruba look towards modular design and easily upgradeable parts reducing the need for total replacement when a product stops functioning. Cisco offer a number of options for end of life management which include technology migrations buying back the old equipment, upgrades to existing equipment. The older equipment is re-used for maintenance or refurbishment or re-cycled. Cisco’s take-back and recycle program meets the requirements of the European Union (EU) Waste Electrical and Electronic Equipment (WEEE) Directive. All Cisco products in EU countries can be returned to Cisco at no cost to the customer or partner. Cisco is working with trade associations, regulators, and regional organizations, including the European Information and Communications Technology Industry Association and the U.S.-based Information Technology Industry Council, to effectively and efficiently implement regulations concerning electronic waste. Cisco actively contributes to the United Nation’s Solving the E-waste Problem program and the Global e-Sustainability Initiative. HPe Aruba and Cisco switches do not have eco labels. 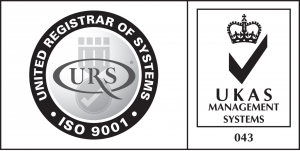 They have other certification and are relating to recyclability and energy and are RoHS compliant. Grouping equipment required for delivery in one transport. Using a national shipping carriers to utilise their logistics, local collection, grouping, trunking and local delivery points. Within the Stoneleigh ISO 1400:2004 procedures we vehicles are look at for their environmental performance. All vehicles are Euro IV compliant and the latest editions to the fleet are Ecoflex low emission engines. Stoneleigh to provide next day service to its customers. The global logistics are handled by the manufacturer and distributor and the local by Stoneleigh. The advantage is product can be located and shipped in the most cost effective and environmentally friendly way. Stoneleigh supply Cisco and Hewlett Packard network products. Both company’s have a defined process for product longevity and lifecycle extension. Some product ranges carry a full lifetime warranty others are limited lifetime warranties that only cover the power supply unit for 5 years. Products in the Cisco range are listed 6 months before going end of life and normally supported for a minimum of 5 years after the end of life date. Both suppliers are global manufacturers and as such have commitments to ethical codes of business dealing with ethical standards and business codes of conduct. Their priorities are to protect workers’ rights and dignity, ensure health and safety standards, minimise environmental impacts and uphold the standards of business ethics. Both HPe Aruba and Cisco subscribe to the EICC Code of Conduct and have substantial policies in place to ensure they and their supply chain meet the objectives of the code. HPe Aruba acts as a force to improve lives in the communities where they work and they expect their suppliers to make the same commitment. They launched a supply chain and environmental responsibility program in 2000 and have achieved widespread commitments to these values for the supplier base. Cisco has an organisation within the Ethics Office which ensures full compliance with the Cisco Code of Business Conduct. The Office ensures that ethical standards are met.